It was an incredible Summer at Project Grow, Adopt-A-Family’s afterschool and summer camp program for homeless and low-income elementary school students. We owe a special thanks to The Episcopal Church of Bethesda-By-the-Sea who generously provided fund support to enrich the summer camp activities and trips, leading the way to exploration and continued learning for all of our students. 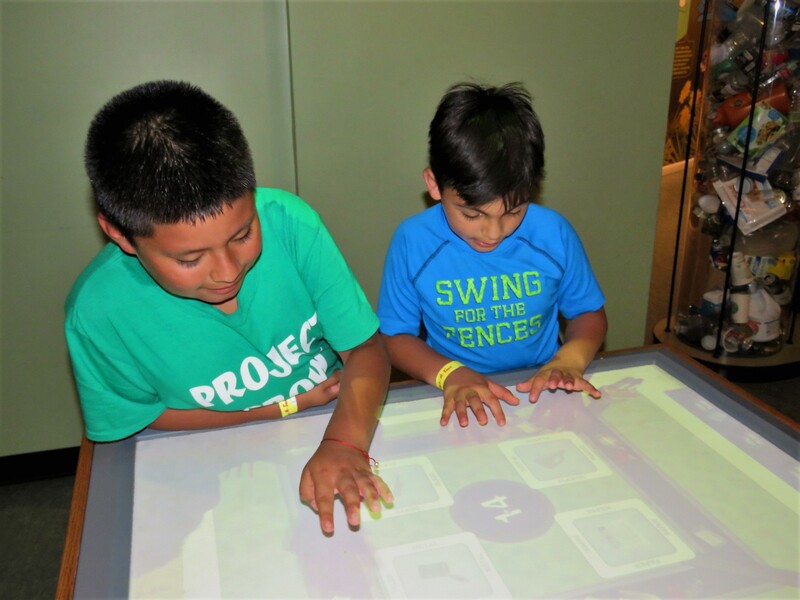 Thanks to Project Grow supporters, campers went on more than a dozen field trips and had special visitors conduct workshops and activities on-site. A student favorite every summer is off-site field trips. The Fort Lauderdale Museum of Discovery and Science offers hundreds of interactive exhibits. Visitors can see exciting science demonstrations and presentations by community experts. All of the Project Grow students attended the field trip and were able to take in a showing of “Backyard Wilderness” which explores the natural ecosystem of a typical family’s backyard on the museum’s famous iMAX theatre screen. They were also able to do a mock TV News broadcast (we think there may be some future newscasters in the bunch!) Their minds were opened to the incredible work that paleontologists and meteorologists do, and they even took a ride on an everglade’s airboat simulator! Florida Fishing Academy took students out on the open ocean for a very special deep sea fishing experience. 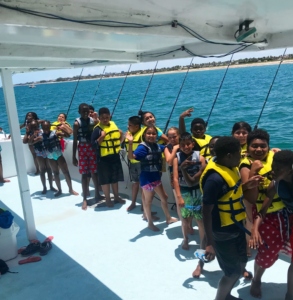 Using their newly gained knowledge from classes that Florida Fishing Academy held for the them over the summer, students enjoyed the salty air and sunshine, jumped into the cool ocean waters, and fished for deep sea critters (they were even able to bring back their catch!) For many of the students, it was their first time on a boat and on the ocean, making for a memorable trip. 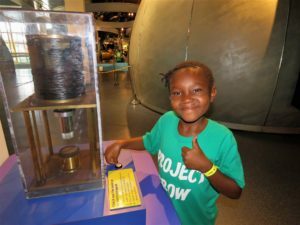 The highlight of our students summer camp experience was their visit to the brand-new Phillip and Patricia Frost Museum of Science in Miami. The Frost Science Museum is dedicated to sharing the power of science to its visitors. Every grade level of the Project Grow students enjoyed the 2-hour drive, their minds racing with excitement and curiosity of this new adventure. 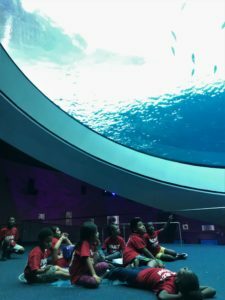 They excitedly explored each of the floors of the 3-level aquarium, which includes a 31-foot oculus! The students rested underneath it as they observed large fish soar overhead. Their imaginations were heightened when they viewed other exhibits including “Feathers to Stars” where they learned all about flight. They also viewed the “Me Lab” and learned how their body works and the different systems within it, as well as the “DaVinci Inventions” and much more. These trips and activities allowed students to explore places and experience things for the very first time. Thank you again to all who ensured our students and campers thrived during the summer months, when opportunities to learn would be minimal without the structure and enrichment of Project Grow.